CloudFormatter is a complete installation of RenderX XEP in the Cloud. A small client-side application is used to bundle and send your document to RenderX's Cloud which returns PDF. Now our users can leverage the best formatting solution for their documents while eliminating the complexity in installation, integration, and setup. 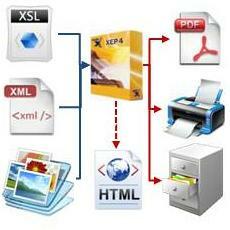 Simple client-side code can accept XML+XSL or XSL-FO. The client-side application can bundle all images referenced in the document and sends to a remote formatter via a web message, returning resulting PDF directly to your application. RenderX's CloudFormatter is the ideal solution for on-demand formatting of documents to PDF. At the heart of each RenderX publishing solution is RenderX XEP Engine. XEP is continually improved in the quality of formatting, standards' conformance, support for advanced features and in compliance to strict requirements to the formatted output of print-ready materials. 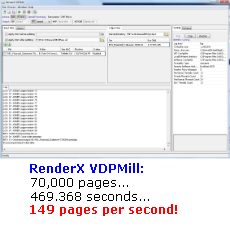 VDPMill can generate very large batch print files – hundreds of thousands of pages in a single file. 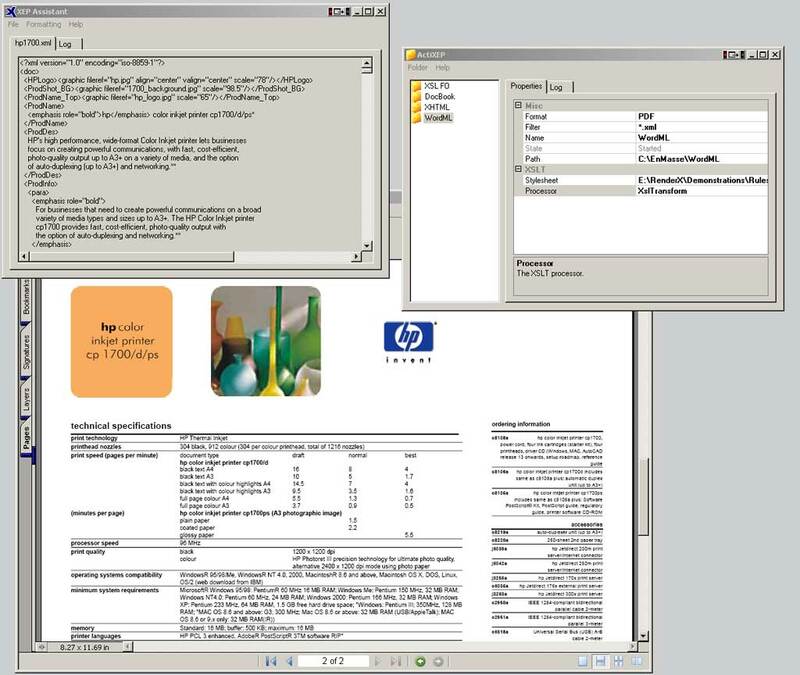 Through the use of a multi-threaded formatting grid for documents, the components of this print file can be formatted simultaneously to meet any performance demands. TransPromo, aka “statement-based marketing”, integrates a TRANSactional document with PROMOtional marketing and provides an opportunity to blend marketing messages with must-read transaction statements, such as invoices and statements, to influence behavior and ultimately drive business volume. 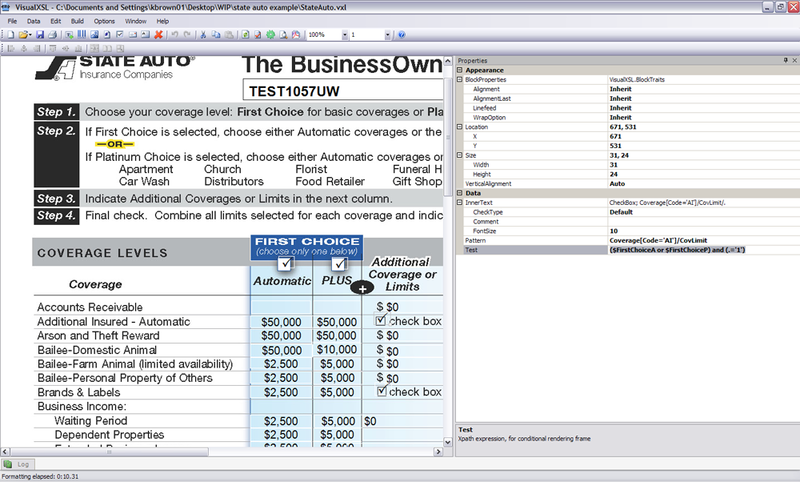 Our patented software is used in many industries to generate database reports (batch reports). 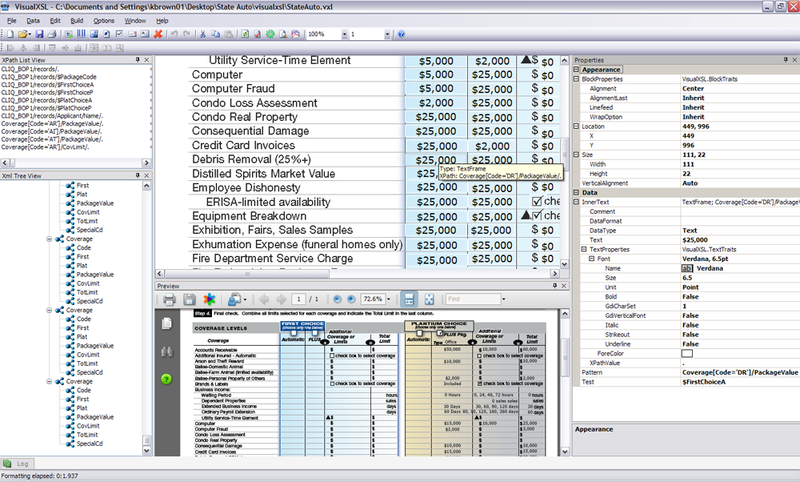 These dynamic reports can be for display on the web; or a document in a work flow inside of a business system; or to stream data to printers for mailings such as bills and statement rendition. It's used in many ways across many industries.